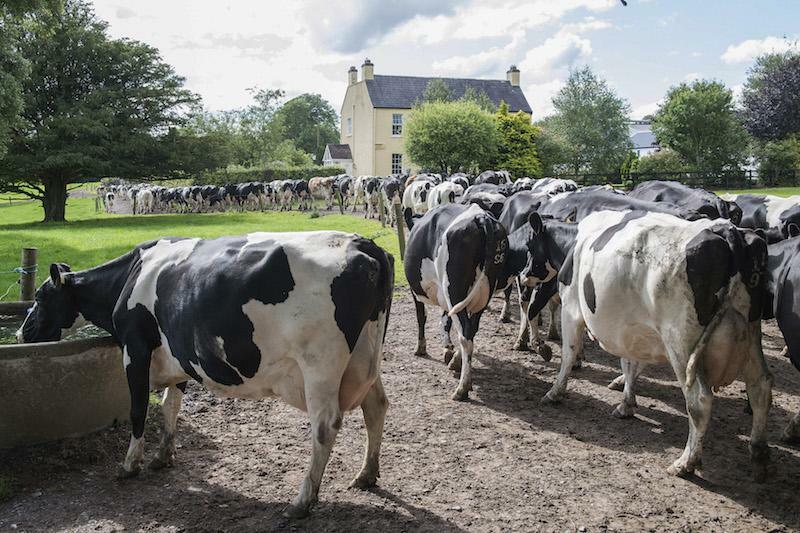 Lameness is now a major problem in Irish dairy herds – it has become the second largest dairy cow health challenge after mastitis. Up to 89% of dairy cattle may be affected by Digital Dermatitis, more commonly known as Mortellaro. There is strong evidence that this condition is caused by a combination of bacteria present on most Irish dairy farms. These bacteria are picked up on the hoof and eventually become an infection on the soft tissue at the back of the heel, visible as strawberry like lesions. This infection can cause severe pain, restrict mobility and reduce feed intake. The net result is reduced milk yield and fertility and ultimately reduced profit margins. The actual cost per cow per year in a herd with a 20% infection rate is estimated to be € 98 per cow, which equates to losses of € 9800 in a 100 cow dairy herd. Despite these potential losses, many dairy farmers adopt only minimal preventative measures and allow lameness problems to escalate. Even with good disinfection programmes, these bacteria cannot be controlled in the environment so proper prevention and treatment programmes should be put in place to control the infections that cause lameness in the herd. (1) To clear any existing cases. (2) To prevent any recurrence of the problem. Treatment: For severe infections of the hoof use of antibiotics may be necessary initially. At this stage the bacteria have become infectious and the animal has become lame. The affected animal acts as a reservoir passing the infection on to the remainder of the herd. Prevention: Treatment of infected animals should be followed up by a programme of routine foot bathing combined with good management practices such as clean yards and cubicles, hoof paring etc. A sustained prevention programme will ultimately reduce infection rates in the herd. Frequent foot bathing: The more often you footbath the more successful the control of hoof infections. Foot bathing at every milking is the ultimate preventative measure. Footbath Depth: Initial fill of 6”-8”. The solution should never drop below 5” so top up between milking’s as necessary. Choice of Footbath product: Use a product with good antibacterial activity which will work even in dirty conditions e.g Provita Hoofsure Endurance.